The Greek community in Pawtucket began somewhere near 1896 with approximately six to ten young men who immigrated from towns and villages of Greece. 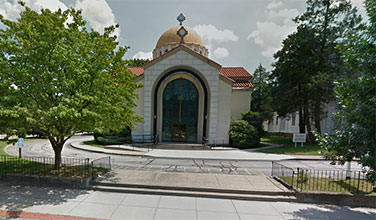 On October 26, 1913, the First Divine Liturgy was celebrated in the new, one-story church, which cost $7500. Urban Renewal displaced the church on George Street, and on May 30, 1966, ground was broken at 97 Walcott Street, the former Ott Mansion, in preparation for building the present church.